* AAAS (American Academy of Arts and Sciences)/Subaru SB&F (Science Book & Film) prize for excellence in science books for 2016. * And honored by AudioFile Magazine as one the best audiobooks of 2015 – as read by Sy. * CBCC Choices for 2016. CCBC Choices is the annual best-of-the-year list of the Cooperative Children’s Book Center. Diving deeper than Jules Verne ever dreamed, The Soul of an Octopus is a page-turning adventure that will leave you breathless. Has science ever been this deliciously hallucinatory? Boneless and beautiful, the characters here are not only big-hearted, they’re multi-hearted, as well as smart, charming, affectionate…and, of course, ambidextrous. If there is a Mother Nature, her name is Sy Montgomery. Renowned author Sy Montgomery’s latest gem is a must read for those who want to dissolve the human-constructed borders between “them” (other animals) and us. Connecting with other animals is part of the essential and personal process of rewilding and reconnecting with other animals, and The Soul of an Octopus is just what is needed to close the gap. 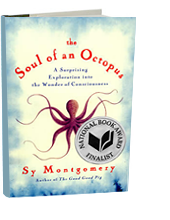 In The Soul of an Octopus, Sy Montgomery immerses readers into an intriguing, seductive world just beneath the ocean waves and the lives of the creatures living within. In this beautifully written book, she brings empathy, insight, and an enchanting sense of wonderment to the bonds we inherently share with other beings—even those seeming far different from us. Can an octopus have a mind and emotions, let alone a soul? Sy Montgomery faces these questions head-on in her engaging new book as she explores the world of octopuses, making friends with several and finding heartbreak when they die. They aren’t, she discovers, simply brainless invertebrates, but personable, playful, conscious beings. Montgomery’s enthusiasm for animals most of us rarely see is infectious, and readers will come away with a new appreciation for what it means to be an octopus. In The Soul of an Octopus Montgomery reveals a watery world of animal intelligence painted with such sparkle that I was bereft to leave it for dry land at the book’s end. Naturalist Montgomery writes exceptionally affecting and enlightening books inspired by both rigorous scientific curiosity and enraptured wonder and empathy for all living beings, from dogs to chickens to tarantulas. Committed to illuminating the true, complex nature of diverse forms of animal consciousness, Montgomery headed to Boston’s New England Aquarium to learn about one of Earth’s most stupendously capable creatures, the octopus. Introduced to Athena, Montgomery plunges her arms into the icy water to make contact, and is thrilled when her new cephalopod friend firmly grasps her, tasting her skin with some of her 1,600 sensitive and powerful suckers. Montgomery also gets to know Octavia, Kali, and Karma, stroking their soft heads and observing their many moods and activities, appreciating each distinctively intelligent, willful, inquisitive, mischievous, and affectionate personality. She also learns to scuba dive to observe octopuses in the wild. In prose as gripping and entwining as her subjects’ many arms, Montgomery chronicles the octopus’ phenomenal strength, dexterity, speed, weaponry, and lightning-quick shape-shifting and camouflage abilities. She also tells funny and moving stories about her friendships with the dedicated aquarists and volunteers (most notably Anna, a valiant young woman with Asperger’s syndrome) who care for the cephalopods with infinite respect and tenderness. Montgomery’s uniquely intimate portrait of the elusive octopus profoundly recalibrates our perception of consciousness, communication, and community. This miraculously insightful and enchanting book, expands our understanding of consciousness and sheds light on the very notion of what we call a “soul.”…. The book’s greatest reward isn’t the fascinating science — although that is riveting and ablaze with rigor — but Montgomery’s bewitching prose, pouring from the soul of a literary naturalist who paints the marvels of the ocean’s depths like Thoreau did the marvels of the New England woods. Once a month, The New York Times Book Review includes animals as a category in its best-selling books list. This past Sunday, an invertebrate cracked the top group. Coming in 10th — after books about birds, dogs, wolves, sheep and elephants — was Sy Montgomery’s The Soul of an Octopus: A Surprising Exploration in the Wonder of Consciousness. 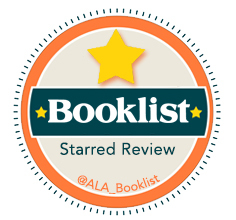 I’ll be cheering for Montgomery’s book to climb even higher in the ranks. As I wrote here last month [about reviewing Sy’s book in the Times Literary Supplement] after a morning at my local aquarium, I have fallen hard for all things octopus. Montgomery offers a unique window into octopus behavior and intelligence through elegant descriptions — both science-based and emotional — of her extended encounters with octopuses while going behind the scenes at Boston’s New England Aquarium and diving in Polynesian waters. — Barbara J. King, anthropology professor at the College of William and Mary, and author of How Animals Grieve. Her joyful passion for these intelligent and fascinating creatures will have you rethinking that order of calamari. — Library Journal. Editors’ Spring Picks. Montgomery’s charming, eye-popping book…. The Soul of an Octopus does for the creature what Helen Macdonald did for raptors. Montgomery writes gorgeously and her epic curiosity is infectious. Most of all she combines rigorous (and accessible) science writing with unabashed wonderment. A good book might illuminate something you knew little about, transform your world view, or move you in ways you didn’t think possible. The Soul of an Octopus delivers on all three. A classic tale of girl-meets-octopus….This is an engaging work of natural science. Her depictions of her intimate experiences with her cephalopod friends ring true, allowing readers to see them in an entirely new light. Her compassion and respect for one of Puget Sound’s most familiar species makes for a buoying read. Sy strokes Karma, a giant Pacific octopus. Naturalist Montgomery (Birdology, 2010, etc.) chronicles her extraordinary experience bonding with three octopuses housed in the New England Aquarium and the small group of people who became devoted to them. As a casual visitor to the aquarium, she had been intrigued by the sense that the octopuses, invertebrates separated from us by millions of years on the tree of life, she watched were also watching her. “Was it possible,” she writes, “to reach another mind on the other side of the divide?” Their appendages are covered with “dexterous, grasping suckers” that propel food into mouths located in their armpits, and they savor the taste of food as it travels along their skin. This ability is one of the ways in which they perceive their environment. On her first behind-the-scenes visit to the aquarium, Montgomery was given the opportunity to directly interact with Athena, a 2 1/2-year-old, 40-pound octopus housed in a 560-gallon tank. Hosted by the aquarium’s director of public relations, with other personnel on standby to ensure her safety, the author was encouraged to place her hand in the tank. Though Athena possessed the strength to pull Montgomery into the tank, she was gentle and even playful. The author describes the thrill of this and subsequent encounters with Athena and two other octopuses housed at the aquarium. They recognized and openly welcomed her visits, soliciting petting and stroking as might a house pet in similar circumstances. Octopuses seemingly relate easily to humans, quickly learning to pick up cues from their keepers, who make a game of hiding food, and in turn play tricks on them. Yet in the wild, they are generally solitary and may attack and eat others of their species if placed in the same tank. 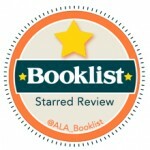 With apparent delight, Montgomery puts readers inside the world of these amazing creatures. A fascinating glimpse into an alien consciousness. What is it like to be an octopus? We haven’t a clue, and straining for similarities to human behavior can only go so far. What makes this book unusual is that Montgomery doesn’t try to answer this question by sifting through piles of research. Instead, she … listens. She develops extensive relationships with a handful of individual octopuses at the New England Aquarium, each with its own personality, its mundane dramas and tragedies. She records every small moment, treating each octopus like a character in a Jane Austen novel. The effect is wonderful. By the end, it’s hard to shake the feeling that these bizarre creatures really do have rich internal lives, even if we still lack the imagination to grasp them entirely. It requires a certain daring for an author to explore one of religion and philosophy’s most exalted, formidable topics—the soul—as regards a sea-dwelling invertebrate. If you’re naturalist Sy Montgomery, who’s written about everything from pink Amazonian river dolphins to the 750 lb. pig she and her husband lived with on their farm in New Hampshire, the search for intriguing subjects knows no bounds. If you’re a longtime reader of natural history, the prospect of intimately exploring the lives of octopuses (not octopi, as Montgomery reveals) is irresistible…. But how do you spend time with an octopus? Do you settle for returning its alien gaze through glass, or perhaps let it wrap some of its eight arms around you? Montgomery learns that doing the latter is as profoundly disorienting as it is rewarding…. Montgomery was remarkably lucky to befriend the animals she did; with or without souls, they expanded her consciousness, and we can only hope that she returned the favor. If you haven’t read New Hampshire author Sy Montgomery’s many books on the natural world, her latest, “The Soul of An Octopus: A Surprising Exploration into the Wonder of Consciousness,” is a good place to start. Just as with her earlier work, Montgomery’s passion for other species is infectious — if you’ve never given octopuses much thought before, you will after reading this book. … Montgomery’s warmth and exuberance for both human and animal friends makes good reading, and her awe and admiration is uplifting, even when she writes about the difficulties they face…. By the end of “The Soul of an Octopus,” I felt informed, moved, and inspired – which is all a reader could possibly hope for from a book. As Montgomery explains, the octopuses “have given me a great gift: a deeper understanding of what it means to think, to feel, and to know.” Montgomery’s gift is to offer those experiences for her readers on the page. Every once in a while I read a book that makes my face hurt from grinning like an idiot throughout. It happens mostly with non-fiction works involving animals or nature/science themes. Perhaps those are simply the subjects that make me feel like a beaming 6-year-old again, but whatever magic they hold, The Soul of an Octopus: A Surprising Exploration into the Wonder of Consciousness has it in spades…. I can’t do justice to the wonder of this book, the joy and pain and fellowship and grief that Montgomery brings to life with her words. The window she provides into the lives of these four creatures, young and old, sharp as a tack and descending into “dementia,” as well as her human counterparts, is completely engrossing and accessible, making the reader feel like a part of the community they created around an octopus barrel. It will make you want to run to your nearest aquarium and sit in front of the octopus display, hoping to make your own connection with this extraordinary animal. … I can’t recommend this book highly enough for anyone who is the least bit interested in animals, natural science and/or animal sentience. Packed full of facts, it still reads like a great story. It’s very smart while not overly-technical, immersed with emotion while not treacly or manipulative. Heck, I fell in love so hard I would go out and get an octopus if I didn’t know I would be outwitted and over-matched. Sy Montgomery reached gently into the tank and let the octopus named Athena caress her hands and arms. These sweet moments are at the heart of Montgomery’s compassionate, wise and tender new book “The Soul of an Octopus.” Montgomery is a naturalist, documentary scriptwriter and author of 20 acclaimed books, including her best-seller “The Good Good Pig.” Only a writer of her talent could make readers care about octopuses (not octopi) as individuals. Montgomery tells of how Athena becomes her friend and her grief at the creature’s death. As she travels from New England aquarium tanks to the reefs of French Polynesia, she learns that octopuses have personalities and intelligence. They play by jetting water to bounce objects or show dislike for certain people. They evade caretakers in clever ways and show their love by gently sucking on human hands and wrists with their numerous suckers. Subtitled “A Playful Exploration Into the Wonder of Consciousness,” Montgomery’s book about creatures who look like eyeless sacks joins a growing body of literature that asks us to rethink our connection to nonhumans who may be more like us than we had supposed. What has eight legs and just might have a soul? The answer, surprisingly, is an octopus…. The animal-consciousness debate is far from over, but its impact on subjects ranging from what we eat to conservation efforts is hard to overstate. What informative but entertaining books like The Soul of an Octopus do in the meantime is remind us of just how much we not only have to learn from fellow creatures, but that they can have a positive impact on our lives. Montgomery isn’t just fascinated by the octopuses (and the turtles, eels, rays, and grunts that also get pages here). She is delighted by the humans who are drawn to the aquarium as she is. There are the professionals that run the place, and lots of volunteers (and this book is going to bring in a lot more volunteers, I bet). The volunteers are the ones who, for example, make the toys for the octopuses, and they get off just as Montgomery does in handling their charges, and being suckered in return. They are also the ones that are heartbroken when an octopus they know dies. One of the great difficulties in becoming friends with these mysterious creatures is that they are so short lived, lasting about four years in the protected aquarium space. Readers will feel the loss as well. This informative and entertaining book, part memoir and part scientific exploration, reminds us that if we are the best creatures on the planet at thinking, we can benefit by thinking about the creatures that may be doing it in some other way. — If you love Nature on PBS or any shows or books about the natural world, then you’ll love this book too. It’s a awesome book. I talked to my kids about it and anyone else who would listen. — Fascinating book, well written and really interesting look at octopuses and their fellow sea creatures. I also enjoyed reading about the inner workings of a public aquarium. I’m ready to go visit my nearest aquarium and volunteer. I want to look for other books by this author now. — This was a lovely book—both fascinating and deeply kind, with a lot to interest a broad swath of readers. The science is accessible without being dumb, and at the same time Montgomery brings the octopuses (NOT octopi!) and their personalities (yes, they have ’em) really vividly to life. Plus I love reading about any interest that attracts the oddballs among us, and octopuses definitely seem to fall into that category—I guess I can count myself among those oddballs now. Thus ends any pulpo consumption for me ever again, and no big loss. I love how this book was written. Journaling her way through a deep-sea adventure? Brilliant! Sy Montgomery gives us a peak at what exploration really entails: difficulties. We find all the emotions, the physical struggles, the mental struggles in searching (and hopefully finding) the octopus…. I recommend this book to nature lovers, adventure lovers and obviously marine lovers. You’ll thoroughly enjoy the world created in the book. Throughout “The Soul of an Octopus”, Sy Montgomery writes vivid you-are-there-words, depicting a painter’s spark of life between the fingertips of species, an invitation to open the touch of interspecies communication. Her name was Athena, but I didn't know that then. I knew little about octopuses—not even that the correct plural is not octopi, as I had always believed (it turns out you can't put a Latin ending—i—on a word derived from the Greek, like octopus). But what I did know intrigued me. Here is an animal that has venom like a snake, a beak like a parrot, and ink like an old-fashioned pen. It can weigh as much as a man and stretch as long as a car, yet can pour its baggy, boneless body through an opening the size of an orange. It can change color and shape. It can taste with its skin. Most fascinating of all, I had read that octopuses are smart. This bore out what scant experience I had already had; like many who visit octopuses in public aquaria, I've often had the feeling the octopus I was watching was watching me back, with an interest as keen as my own. How could that be? It's hard to find an animal more unlike a human than an octopus. They have no bones. They breathe water. Their bodies aren't organized like ours. We go: head, body, limbs. They go: body, head, limbs. Their mouths are in their armpits—or, if you prefer to liken their arms to our lower, instead of upper, extremities, between their legs. Their appendages are covered with suckers, a structure for which no mammal has any analog.